Dr. Nancy Phan grew up in San Jose. She went to Oak Grove High School, received a Bachelor of Science in Biochemistry from the University of California, Davis, and earned her Doctor of Dental Surgery degree from the University of California, San Francisco. She completed a 3-year Orthodontic Residency at St. Barnabas Hospital, an affiliate of Weill Medical College of Cornell University. Dr. Phan also obtained a Master of Science in Human Resources Management from Mercy College graduate school while completing her orthodontic residency in New York. She was honored by the American Association of Orthodontists with an Award for Exceptional Interest in the Development of Cranio-facial Complex. She is a Certified Invisalign Orthodontist. Dr. Nancy Phan is a Diplomate of the American Board of Orthodontics. Only 1 in 3 orthodontists in the country is board certified. It is the highest standard of excellence in orthodontics. To become board certified, an orthodontist has to pass a rigorous set of written, clinical, and oral examinations plus credential verification and need to be re-certified every ten years to maintain board certified status. 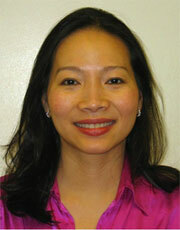 Dr. Nancy Phan is a Board Certified Orthodontist in San Jose, CA. Outside the office, Dr. Phan keeps herself busy taking care of her five young children. She enjoys reading, traveling, painting, participating in many outdoor activities, and spending time with her family. As a mother of five, she is very nurturing and attentive to her children. As an orthodontist, Dr. Phan extends the same warmth and attention to her patients. She is passionate about orthodontics and makes sure each patient achieves a beautiful and radiant smile at the end of treatment. Dr. Phan is a member of the American Association of Orthodontists, the American Board of Orthodontics, the Pacific Coast Society of Orthodontists, the American Dental Association, the California Dental Association and the Santa Clara Dental Society.